K Bus Run August 4! Veteran Parents- please pass along this message to any family you know with an incoming Kindergartener! Also, if you are interested in volunteering to hand out name tags and snack at either bus run, email Dawn at best.pto.bedford@gmail.com. The Kindergarten Bus Run is Tuesday, August 4! Please meet in the Davis School Cafeteria. This is a great opportunity for your children to learn about how to ride the bus safely and for you to ask all of your bus-related questions! Children will be able to play after they ride the bus and a light snack (including allergen free options) will be available. This entry was posted in Uncategorized on July 29, 2015 by paulagilarde. The school year is quickly wrapping up and we have a few last announcements from BEST! In preparation for next year, we want to hear from you! Please take 5 minutes to fill out our anonymous Volunteer Satisfaction Survey found at http://goo.gl/forms/R4OzCCkHee so we can keep every facet of our organization running as smoothly as possible! Some of us may have been skeptical about Target’s Facebook “Thanks A Billion” campaign last month (not mentioning any names of Lane Vice Presidents), but it was REAL! Audrey Gould, Meg McAllister, and Sarah Scoville deserve much credit for being believers and getting the word out. Thanks to everyone who thanked a teacher through Facebook, our schools earned a total of $4,650 REAL dollars to spend on our classrooms!!! 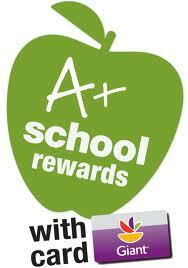 What is your favorite part of back to school shopping? Price matching fat glue sticks? Hunting down Ticonderoga pencils? Then enjoy! But for the rest of you, order your School Supplies through BEST and let Josh Chessman do all of the work for you! 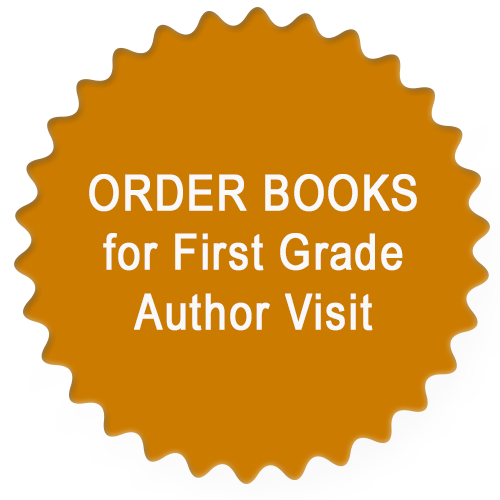 Order here: https://goo.gl/dZceD0 and your child’s supplies will be delivered to the appropriate school before September 1. Please note- If your classroom teacher requests additional CLASSROOM SPECIFIC ITEMS in his/her summer letter NOT on the general grade level supply list, THEY WILL NOT BE INCLUDED. Sorry! Our Davis School population is growing by leaps and bounds- well at least by modulars and more modulars! The new classrooms are going to be installed in the current garden’s location. But, do not fear! The Davis garden will be moved over the summer to a new spot. Ten 4×10 raised beds will be built over the summer to accommodate all of the children’s green thumbs. In order to build these, the school needs SOIL! LUMBER! FENCING! Do you own a landscaping or construction business? Are you friends with an owner of a landscaping or construction business? Are you casual Facebook acquaintances of an owner of a landscaping or construction business? If so (or even if not), we need your help in securing some material donations and some labor! All donations are tax deductible! Please email best.pto.bedford@gmail.com if you can help! You’ve been very generous this spring and we are VERY GRATEFUL! Thanks to you, we reached our goal, and we will be able to provide every classroom teacher with a check of $150 for the purchasing of supplies for their classes. Wow! That’s a lot of smiley face stickers! Remember back in December when you sent in $3 for our Good Cheer campaign? Well, you did. And we’re using those funds to pay for our second round of “Thank you for being so awesome!” gift cards going out to support staff at Davis and Lane next Monday. Your donations are providing a lot of love! If you have community news you would like to submit for inclusion in our Fall 2016 Bits from BEST newsletters, email best.pto.bedford@gmail.com. Stay cool and have a wonderful summer! This entry was posted in Newsletters on June 20, 2015 by paulagilarde. Baseball Can’t Stop Us From Appreciating You! We’re jazz-hands excited for this evening’s Volunteer Appreciation Night! We heard a rumor that yesterday’s rain moved youth baseball games to this evening. But we’re not worried! Just come to Cucina D after the final out for snacks and drinks! While the event will start at 7, we’ll wait to roast Peter until everyone is able to get there. If you weren’t able to help in the schools this year, but would like to come tonight to learn more about getting involved with BEST, please do! We also have a few Committee Chair positions open that we’d love to fill and can tell you all about them. This entry was posted in Volunteering on June 16, 2015 by paulagilarde. Reminder! RSVP for Volunteer Appreciation Night! Remember, everyone in the parent community at Davis and Lane who helped out in any capacity this year is welcome to attend and be recognized for their contributions to our PTO! Please RSVP by Sunday night so we can give an accurate head count to the good folks at Cucina D! This entry was posted in Volunteering on June 11, 2015 by paulagilarde. Hello Davis and Lane Parents! The year is ending and we would like to thank all of you for being our BEST/PTO volunteers for the 2015-2016 school year! Sadly, it is also time to say good-bye to faithful volunteer and fearless leader Peter Ricci as he is aging out of the Bedford Elementary Schools. Come will wish him well as he moves on to new exciting opportunities! Please join us for a fun evening of snacks and drinks! This entry was posted in Volunteering on June 8, 2015 by paulagilarde.